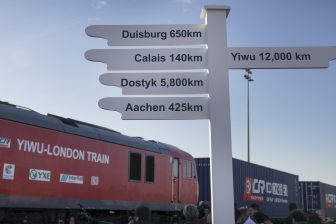 Until today rail freight traffic between Europe and Asia must cross an invisible border due to the existence of two different legal regimes. Where Europe applies the CIM Uniform Rules, Russia, China and other Asian countries apply the SMGS Convention. 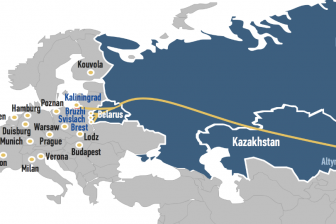 The common CIM/SMGS consignment note is the first step towards a uniform body of law for Eurasian freight traffic by rail between Europe and Asia. 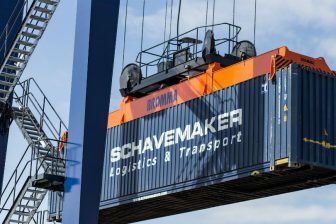 Erik Evtimov, Deputy Secretary General of the CIT will explain how this ambitious goal is to be achieved at the RailFreight Summit 2019, to be held in the Polish port of Gdansk on 15 and 16 May. His presentation will contribute to the first conference day, which is about the New Silk Road. “The existence of these legal hurdles leads to interruption of movement, entailing delays, additional costs and administrative burdens for the development of traffic on the New Silk Road. 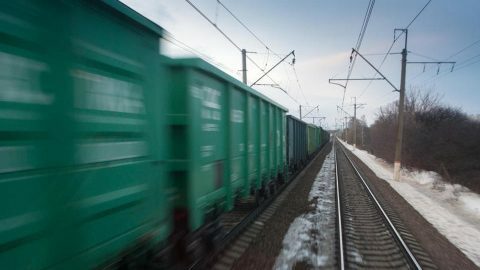 The common CIM/SMGS consignment note and the standardisation of the handling of claims are only the first steps towards a much more ambitious project: the creation of a uniform body of law for freight traffic by rail between Europe and Asia”, said Evtimov. This task is being actively pursued by the CIT in cooperation with the OSJD and UNECE, which are also involved with Eurasian traffic. As result of this cooperation a the Political Declaration on establishing a unified Eurasian railway transport law was signed in February 2013 by 37 representatives of the participating countries. This indicated a commitment to officially start harmonising rail transport law within the UN framework. Furthermore, the uniform paperwork is to become available in digital form soon. Together with experts, CIT has prepared the respective legal, functional and technical specifications for the paperless consignment note. After the most recent adjustments and updates, the new version of the documents for the e-consignment note CIM/SMGS will be published in July 2019, Evtimov said. The start of the project “Legal Interoperability CIM/SMGS” dates back to the Conference on International Rail Transport Law, which took place in Kyiv in October 2003. Here, the participants clearly expressed their aim to make available a common consignment note which can be used in transit transport and which is sufficient for modern requirements. It was identified as a top priority and the CIT readily agreed to take over this task. At the first stage the CIT worked out the new common consignment note, based on the experiences and needs of the CIM and SMGS railways and customs representatives. The common consignment note was made available as of 1 September 1 2006 and accompanied with a Manual. At the second stage of the project a new common Formal Report CIM/SMGS was drafted and added to the Manual. This allows for a standardised procedure for claims handling. In parallel, the GS CIT initiated activities to draft uniform liability conditions for CIM/SMGS traffic that could be applied on contractual basis. The CIT is an international association created in 1902, active in the sphere of cross-border international rail transportation. Although the main area of CIT’s work is practical implementation of the COTIF – the Convention on International Rail Traffic, it has worked towards the creation of the uniform international rail transport law. “After more than 100 years a lot has been achieved and a lot more remains to be done to ensure fast and reliable rail transportation of goods and passengers with clear-cut coherent rights and obligations for all participants of the transportation process”, Evtimov concluded. Registration is open and the early-bird fee still applies. For information about the event can be found on the website.